We use this as a reference tool that covers standard dimensions for many of the threads and clearance holes that we commonly use within our shop. We find it handy and hope you do as well. 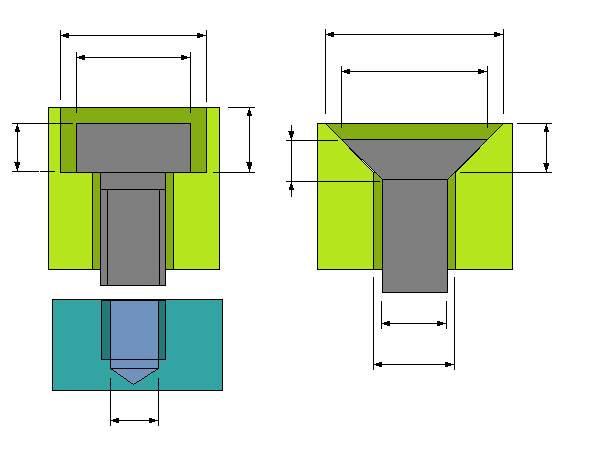 Tap drills are assuming a 75% thread, 0.015" of head clearance for counterbores and countersinks, listed center drills offer a minimum and maximum range for tapping, and all dimensions are given in inches. Click Here for helpful tools!